This is my blogging corner. Yes, I do mean corner. The living room was the only place we could find in our cosy flat that could accommodate a computer table and a swivel chair. I work on a six-year-old Sony VAIO laptop and a IKEA Mikael computer desk - both in pink. I sit on a chair that we brought back from Sweden and the leather, most probably fake, has started peeling off since last year. I hang one of Angel's baby blankets on the window because the glaring hot sun can be quite unforgiving in the afternoons. It's not always as peaceful as it looks. In between surfing the Web, answering emails and blogging, I have to handle a bubbly toddler who loves to crawl over the sofa, sit on my lap and type unremittingly, bring my elder girl to and fro school, make our meals, clean the house, do the chores and basically just every other thing a stay-at-home mum has to do. On some days, I do desire to have a long, peaceful and uninterrupted blogging session, but it is just impossible for the time being. If one day that happens, that would mean I am all alone in the house without the kids and seriously, I'm not looking forward to that day. Nonetheless, if you add up all the time I spend on blogging, especially in view of the fact that I sleep at 3am almost every night, it shouldn't come as a surprise that a good 3-4 hours of my 24 hours a day is spent on A Happy Mum. Today, I'm doing something different and for the first time, I share with you about my writing process and how I actually go about blogging. I was introduced to the Writing Process Blog Hop by Corsage of A Dollop of Me. You can read about her entry here. A Dollop of Me covers the topics of family, food, healthy living and other life's tidbits. You may call it fate but both Corsage and I are now mums of two lovely girls, and guess what? Our kids are born in the same years - 2009 and 2012! We finally got the chance to meet up recently and the amazing thing was it somehow felt like we had known each other for a long time. That is truly one of the wonders of blogging and I am thankful for all the friendship I have slowly but surely gained over time. I have always dreamt of being a writer and publishing my book one day. While it likely remains an aspiration that might never be fulfilled, I guess being a blogger is more than enough to make me feel closer to realising my dream. You can read more about the 5'R's (Remember, Rediscover, Remind, Realise, Reunite) of why I blog but for now, I am going to let you a little more about what goes into my mind when I blog. June and July are exciting months for the blog! I have numerous reviews and giveaways lined up including Nick Vujicic's latest book and his illustrated storybooks, pillows that let you listen to music without the need for earphones, bento making tools to create cute breakfasts, personalised items like towels, pouches and bags for kids, beautiful matching dresses for mummy and daughter and so on. Besides that, I am also working on posts of our staycation experience, growing up videos of the girls, behind the scenes from our commercial filming experience, and some heartfelt stories and parenting thoughts that I wish to pen down once I find more time on my hands. Oh, and guess what? The hubby booked air tickets two days ago for a short weekend getaway to Hong Kong! Woohoo, we are flying off this Friday and I'll be bringing you more pictures and updates soon! 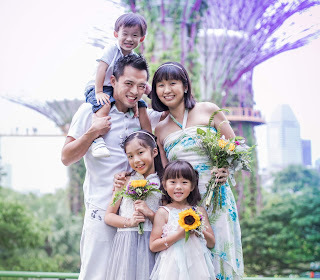 There is a long list of awesome parenting blogs in Singapore and around the world, and many of them constantly inspire me to keep writing and to be a better mum. I can't really describe what makes my work different from others, if it is any different at all in the first place. Still, one thing that the husband said before of me is that my sincerity gives me an edge over others. While some people might find it vulnerable to share their feelings and emotions openly, I actually prefer to wear my heart on my sleeve all the time and whatever you read here is what truly goes on in my home, my life, my parenting journey and deep down in my heart. Those 5'R's of why I blog have not changed even if this blog turned out to be much bigger and better than what I expected. I still write to remember the sweet moments of motherhood, to reflect on the unprecedented challenges and joy of being a SAHM, to keep my passions and dreams alive, to remind myself that my kids are the best miracles of my life and to embrace, cherish and appreciate their growing up years as best as I can. Blogging has also become an outlet for me to share my experiences, thoughts and unqualified tips, and it has connected me with readers and fellow mum bloggers that I hold close to my heart. I am thankful for all the opportunities I have had along the way and the kind sponsors who have stepped in, and it is my hope that I can continue to inspire, give and share more with the people who are truly interested in what I write. For me, I usually need to see the visuals before I come up with the text. One thing you should know, blogging is hard work. I make effort to enhance every picture you see here and because I love to put up our family pictures so much, it really takes me a lot of time to put everything in place. While a simple post or one that hits me on the spur of the moment can take 1-2 hours to write, a heartfelt parenting story can take 1-2 days, a Creativity 521 post can take 3-4 days, a sponsored advertorial or review can take 1-2 weeks, a video post of my girls can take 3-4 weeks, and a Travelogue post can take me more than a month. There are many times when I feel guilty about sacrificing my sleep or worse, time with the kids, so that I can keep up with the blog. That is when I just feel like shutting down my computer and rethink about my priorities in life. It is easy to say that family always comes first but I not only need to know it in my heart, I need to show it through my actions. So there will be days when I avoid the laptop and I don't even bring the phone when we go to the playground. How do you juggle work and family? Well, technically I don't have work so I am just doing my utmost to juggle blog and family. Just so you know, I promise to keep A Happy Mum going for as long and as best as I possibly can because apart from becoming a mum, becoming a blogger is the best thing that has ever happened to me. Next on the blog hop, I am delighted to have invited two fellow mum bloggers to reveal their 'secret' writing processes and share with you more about how they keep up with their blogs. 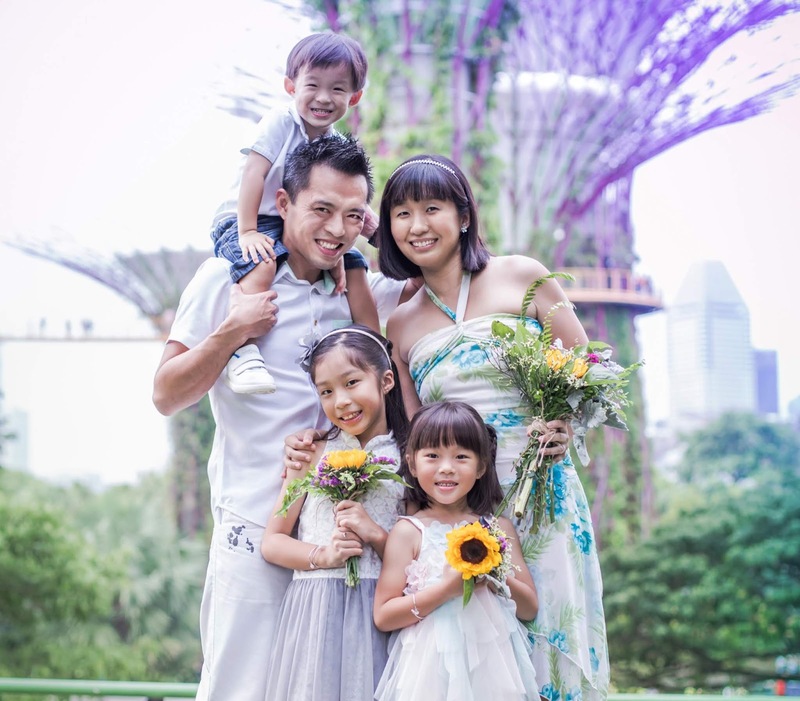 A blogging coach and mother of three, Dominique shares her views on multilingual parenting, holistic education and kid-friendly activities at Dominique's Desk. Read Dominique's writing process post here. A full time working mum and mum of three, Christy believes that what kids need in life are the simple things and pens down her parenting thoughts and experiences at Kids "R" Simple. Read Christy's writing process post here. I will be linking up to their entries for the blog hop once they are published and I hope you had fun reading mine! Hello Summer, I do agree that blogging is truly not an easy task. The number of steps and things to do before clicking the publish button involved a lot of hard work and hours put into it. Well done! Keep it up!! So well written Summer! I enjoyed reading this totally. I can totally relate to blogging being the opening door to lots of friendship, fun, opportunities and I would say it actually let me see things about children in a different light! What goes behind a blog post is surely lots of efforts that most may not know. I can't agree more than what your hub days about your sincerity in each post that differentiate you from the rest. Keep the blog going! Thanks for the invitation to join this blog hop! Thanks much, Christy! Yes I agree, it lets me see my kids differently at times too. It really takes a blogger to understand how much time and effort each of us commit to keep it going. Awww, thanks much for the affirmation, I thought only my hubby would think that way. Haha. Can't wait to read about your writing process too! I usually have photos in mind before I start writing too. They give me inspiration and focus :) lovely read on how you blog.. thanks for sharing! Yes, Ai, I can't write without seeing pics! Haha. I tried before, it just seemed weird. =) Glad we think alike! Yayy! Thanks for reading! Lovely piece, Summer. I can definitely relate to so many of your points! I used to write, then look for the photos, realise I don't have them, then rush to take them, but now, I'm trying to be more organised, and make sure I have the photos I need, before I start writing. Thanks Adeline! Haha I usually take a lot of pictures, and then see which ones turn out to say a story and which I can use for a blog post. Most of them just get stored in my hard disk, tsk. =) I bet you are taking a lot of awesome pics in OZ now! Thanks for hopping by! That's a neat work station! For the longest time I've worked at the dining table! And now have finally cleared some space on the actual work table in the bedroom.... but the mess has somehow come back again. Sometimes I blog at the bus stop too! Haha. Haha, I tidied it a little before I took this picture. There is dust and hair and dirt everywhere, ewwww, right? The dining table is a good place because it is bigger! Just that there is a hassle of having to pack and clean up before and after every meal. Hey, maybe that is a way to keep away the dust and hair. LOL. I thought your work table in your bedroom looked quite neat too! And as for blogging on phones, I gave it up because it takes too much toll on my eyes to have to squint at the tiny screen. Usually use it to read blogs, leave comments and check mails, which already takes up quite some time! Thanks for reading the post! It's interesting to read how bloggers blog. To readers, it might just be a read, scroll down and enter giveaway thingie - not realizing the amount of work put in by the bloggers to churn out that post. Hi Evelyn, thanks for writing this comment! Yes, I thought it was a good post to shine some light on how we actually go about blogging too. We might have the passion and desire to write but that doesn't mean we can spend little time and still keep a blog alive. So, it kind of becomes hard work, but work that we enjoy and relish. Oh wow, that post! And you read and remember!!! =) Thanks so much for being such a faithful supporter and for liking what I write!